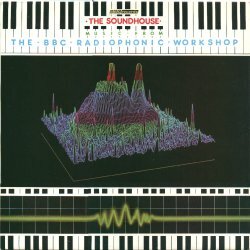 From time to time, the BBC Radiophonic Workshop and BBC Records have issued L.P. compilations presenting a cross-section of output of the Workshop. The last retrospective album was released in 1979 on the occasion of the Workshop's 21st anniversary. Here now is a new collection of tracks illustrating some of the work that has been completed at the Workshop in the 4 years since then. The most significant advances in technique since 1979 have been in the field of computer technology and at the Workshop we are now using the Fairlight Computer Synthesizer, examples of which can be heard on this record. Despite technological progess, the Radiophonic Workshop is still what it was when it first came into existence 25 years ago, a creative service department supplying special sound and music to BBC programme makers. In 25 years from now, who knows what sounds will be heard coming from behind the doors of our corridor in the BBC's Maida Vale studios? One thing is certain, the new technology makes the road ahead an interesting one.